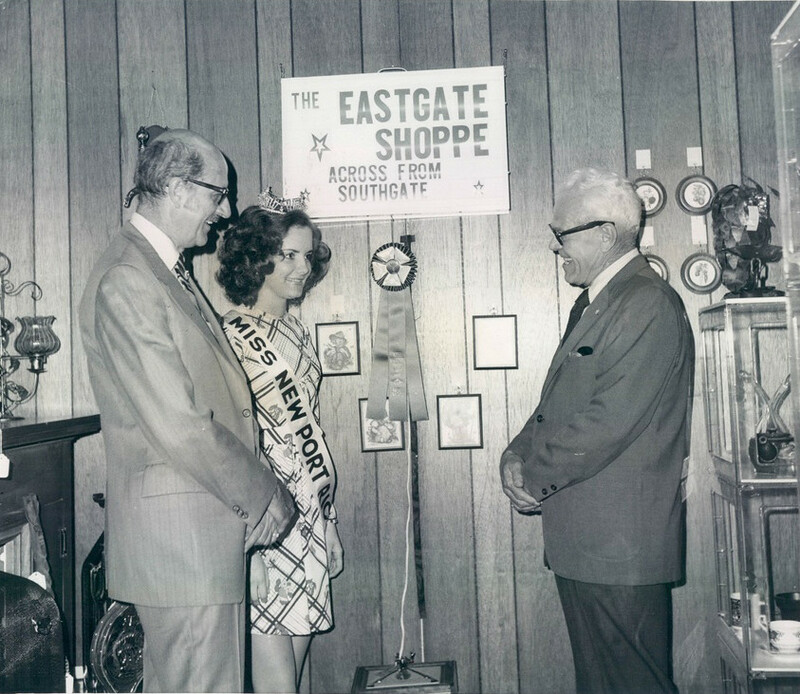 Beauty Pageants are a time-honored American tradition. It's become almost cliche to oppose them from a feminist standpoint; however, once upon a time they were an integral part of American culture. 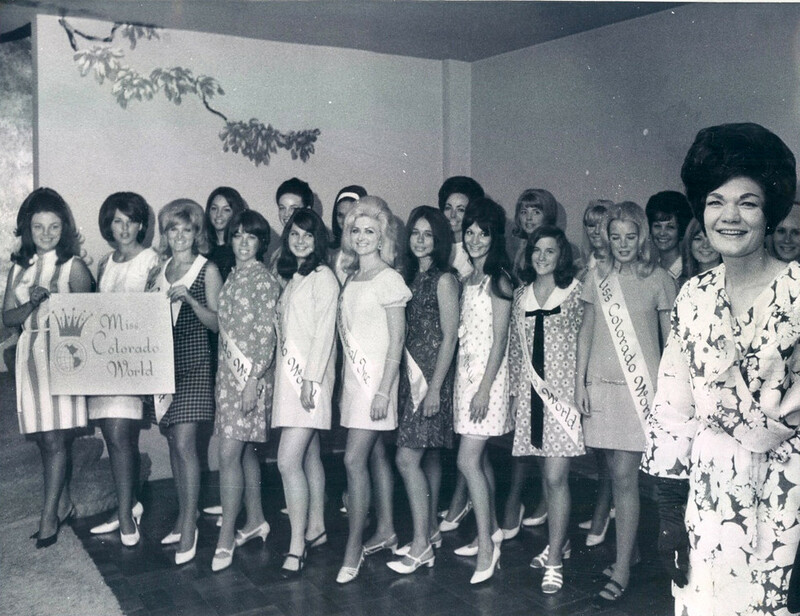 Perhaps reality television and the phenomenon of putting elementary school girls in adult-looking pageants has given the practice a bit of a white-trash vibe. 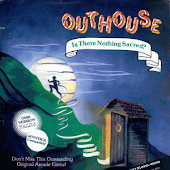 But not here on Retrospace. 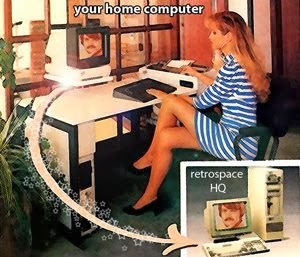 Don't get me wrong, the Retrospace staff wish to make it abundantly clear that we value what's on "the inside"; however, judging chicks strictly on their bodies is also okay. Mutually exclusive principles? Perhaps, but it's best not to think too much and just enjoy the show. Note: Be sure to catch Part One published in July 2012. 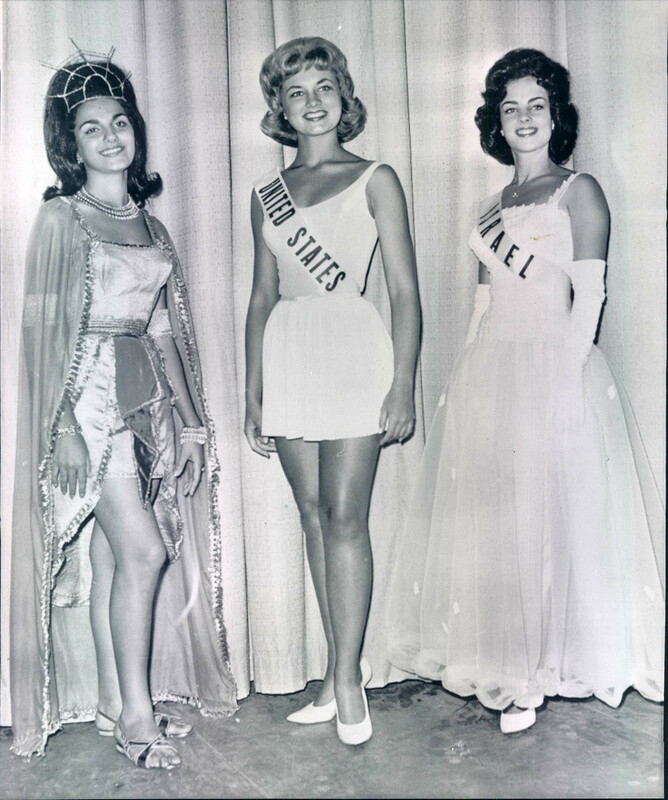 In the 50s and 60s, pageants were rampant. 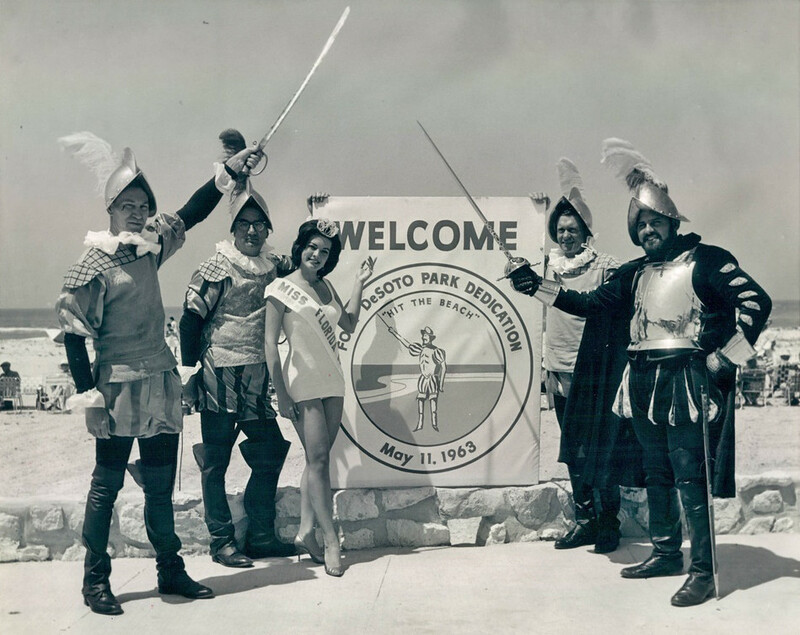 There was a queen for nearly everything imaginable. 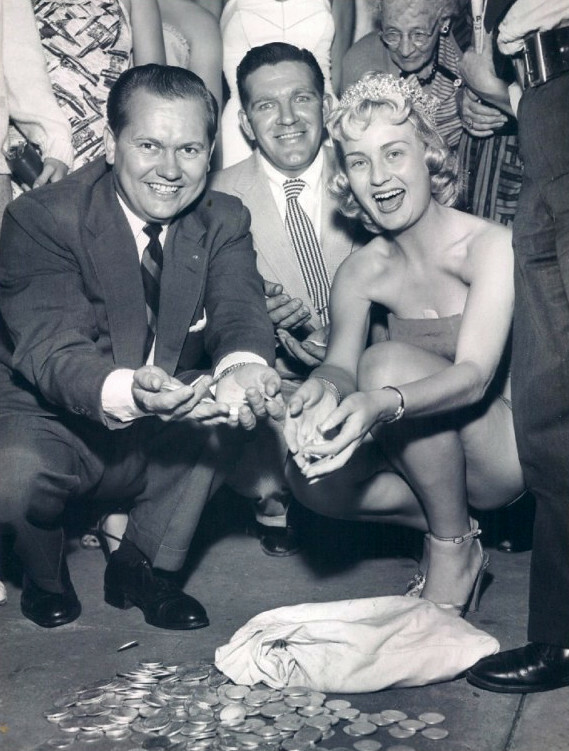 Above is Miss Industry - hence the sack of coinage. 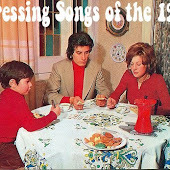 The guy in the center is absolutely freaking me out. So, let's move on, shall we? 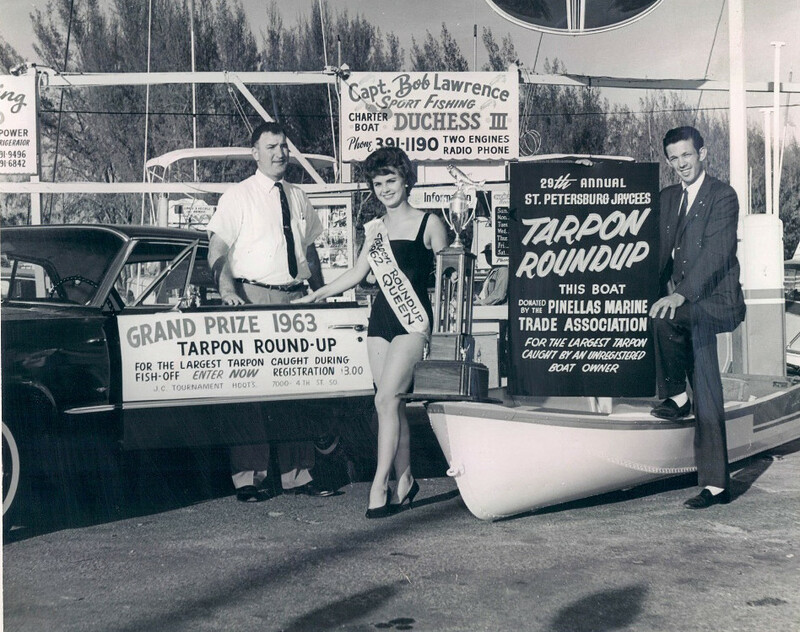 Tarpon Roundup Queen is a nifty title. 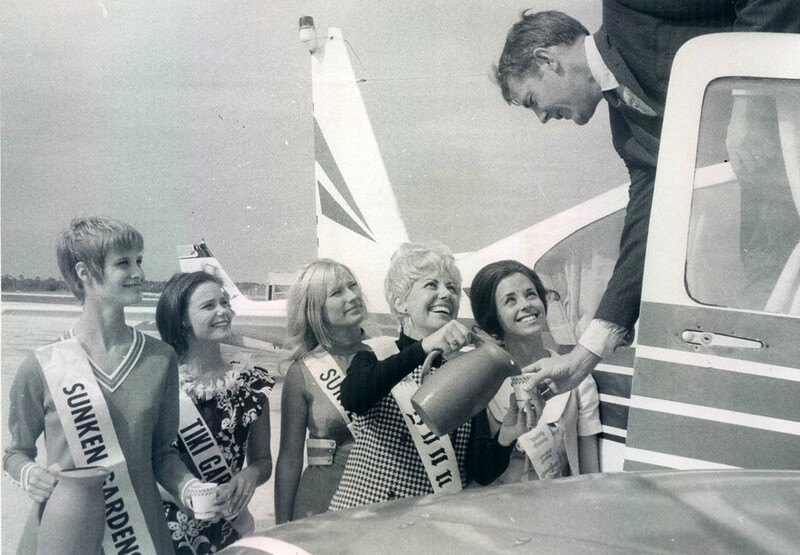 Do you recall some of the classic beauty contests from TV episodes? On this day: "Puff the Magic Dragon" hits #2 and Natasha Richardson is born. On the day before, the Rolling Stones are signed to a record label. Just so you know. 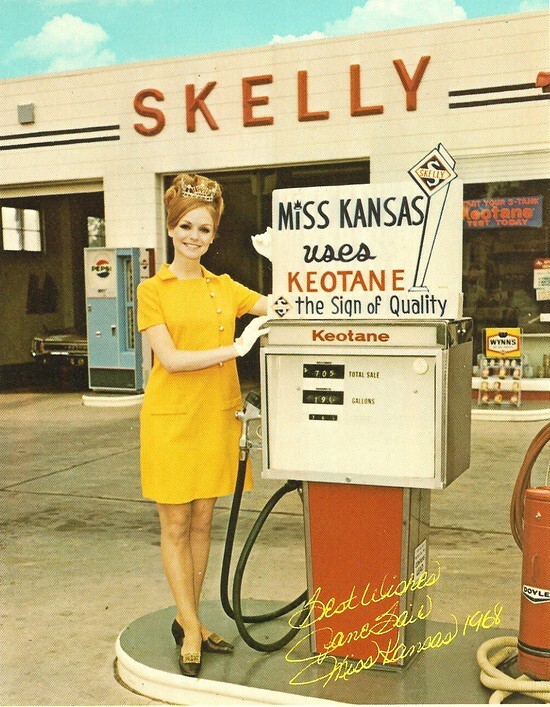 Keotane was a brand of gasoline distributed by Skelly Oil, primarily in the Midwest. 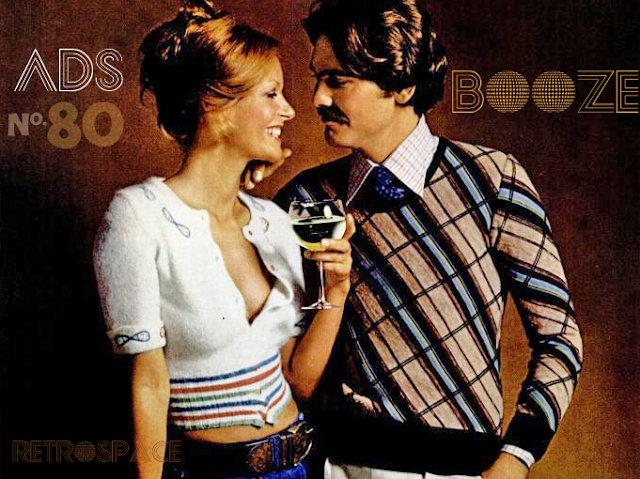 "Fashions by The Dino Lady". No comment. 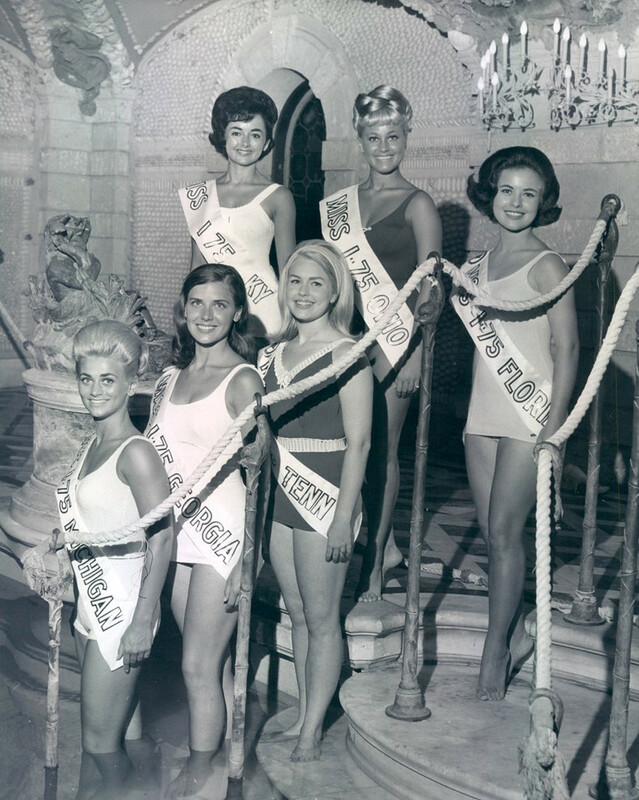 The 1961 Miss Denver contestants acting like best friends. You know it was another story behind the scenes. 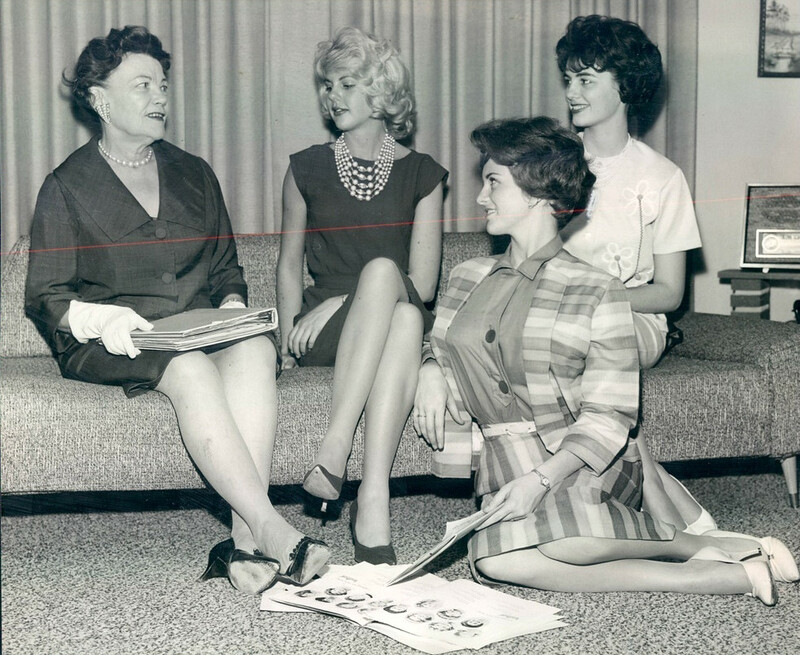 "So sorry you had to sit on the floor, Maureen. I certainly hope it didn't ruin your posture. That would be such a shame." 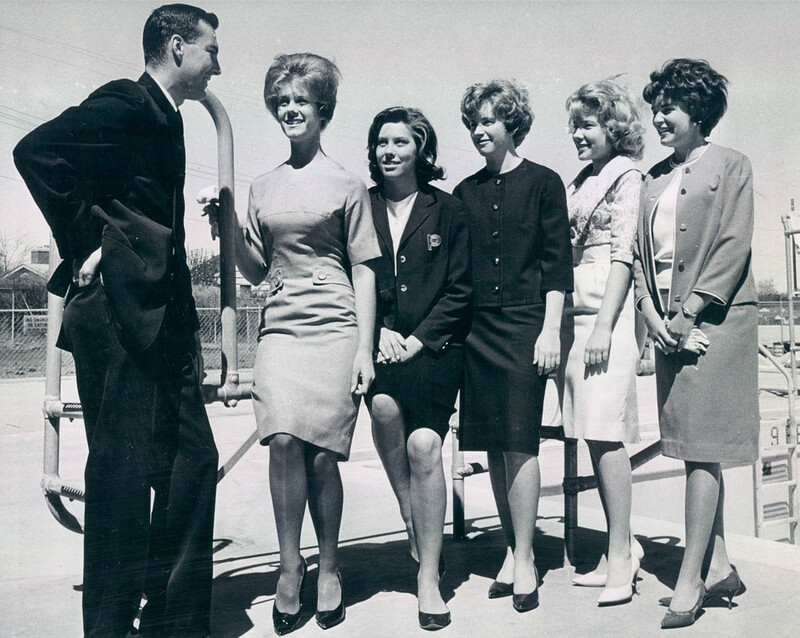 1963 Miss Denver Colorado contestants nervously hanging on his every word. From Right to Left: Israel, The United States, and..... and....ummmm... Neptune? 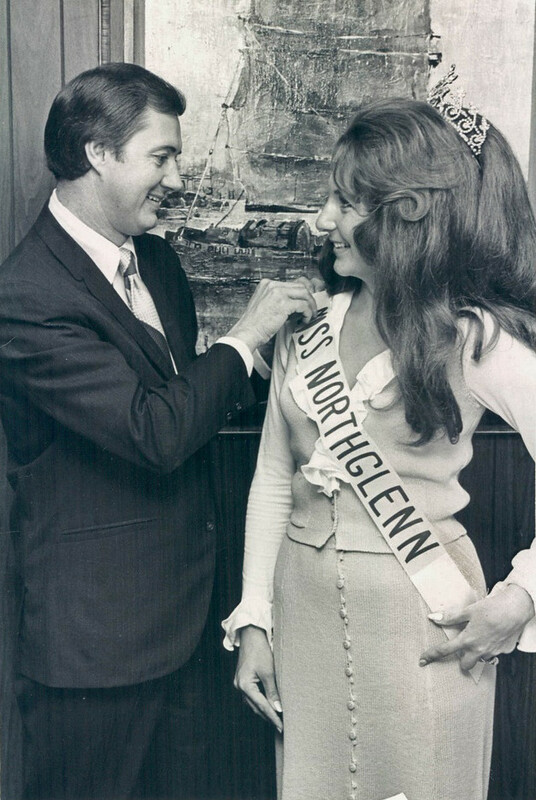 This guy is getting way too much out of attaching the ribbon to Miss Northglenn 1972. She seems to be picking up on his creepy vibe. 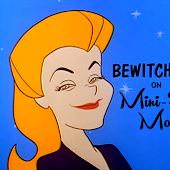 When a mahogany mama wins a beauty contest, Billy Dee will be there. 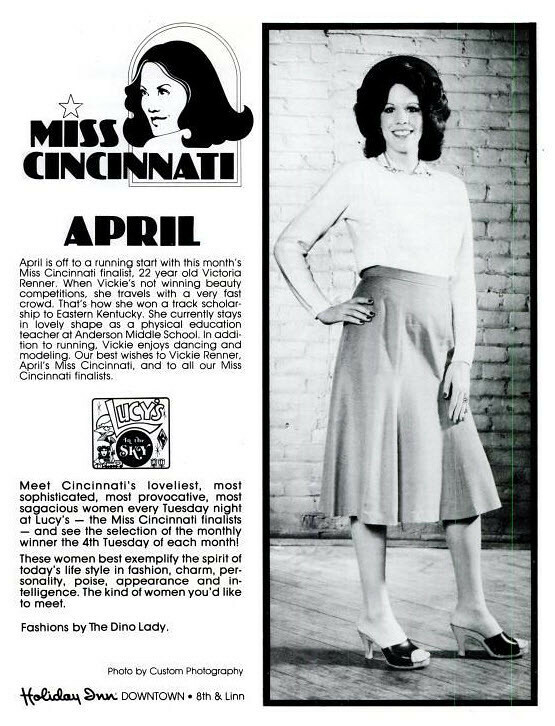 Miss Spirit of America could rule the universe if I had the vote. I now give you the vote. 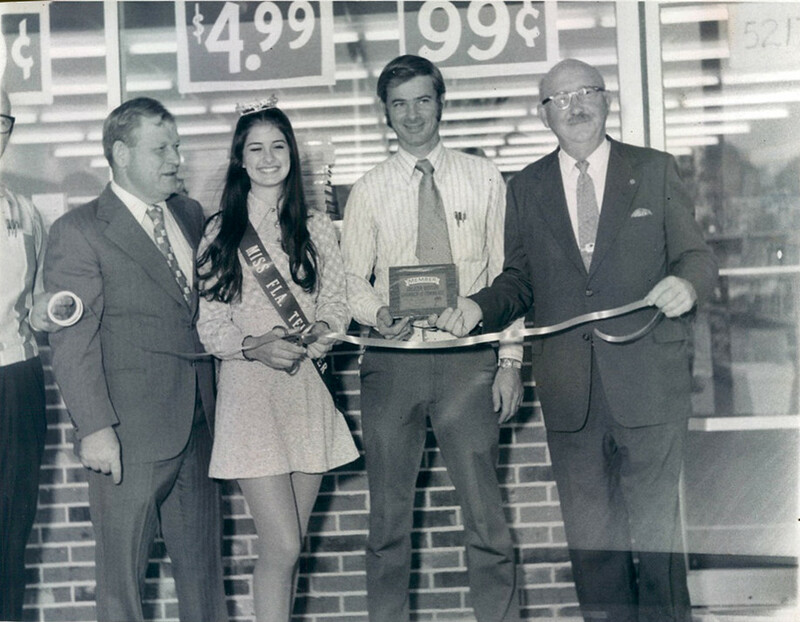 I wanna be one of those guys holding up Miss Junior Civitan Fruit Cake 1968. Fruitcake AND your hand between a hot girl's thighs? That's heaven. Nice that you have a lot of Colorado here... Northglenn is a suburb of Denver, so maybe that incredible mass of pageant-hair is from Colorado as well? Time to watch Smile again. "Isn't she lovely? Aren't they all lovely? Isn't everyone lovely?" Miss Neptune... I'm still laughing at that one.